Choose NFC technology it’s the easiest way and cheaper to reach the goals like product tracking, anticounterfeiting and crateaugmented reality for own clients or curious. 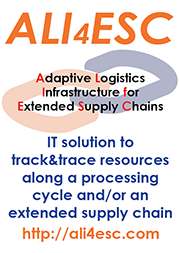 Ali4Esc Brand Protection is a web-based software platform, that let the user creates or imports from his ERP the database of products, recognizes every single bottle and lets it talk about itself throw a smartphone, tablet or PC. A client or a curious, with his own smartphone, tablet or PC will be able to reach the service and knows a lot of information the producer share with him. Read the informations or check the originality of the product will be easy and quickly for everyone, starting from the curious at the wine-shelf and finishing with authorities at the customs, at the shop or at the hubs. can’t do multiple readings in the same time. due to own technological skills the UHF tags are used for logistics application, item’s tracking on extended supply chains and as anti-counterfeit tool. not every firm that decide to invest on UHF technology, at the end is ready to engage in an organized project developing plan and an organized project milestones check, verify and eventually correction. 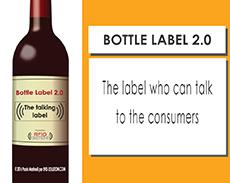 With NFC technology will be possible do inventories, shipping bay areas controls (more quickly and correctly then with barcode), but with UHF labels the same action will be done in a fraction of the time used to do it with NFC. 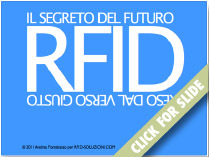 Read a NFC tags is possible with industrial reader-antenna systems or just with a 50€ smartphone. 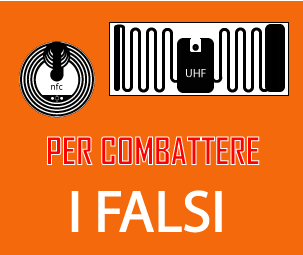 Read a UHF tag needs industrial reader-antenna systems or mobile devices more expensive then a 50€ NFC Android smartphone. In the last time is possible to find PC tablet with integrated UHF antennas but obviously with this kind of device you don’t hope to read a tag 1 meter distance. Remember that smaller is antenna less is the distance reading range.